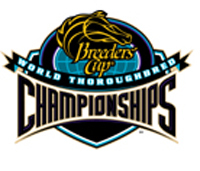 The Texas Racing Commission (TRC) recently allotted race dates for 2004, and the Texas racing calendar will look significantly different from years past, due in large part to the fact that Lone Star Park at Grand Prairie will be hosting the Breeders’ Cup World Thoroughbred Championships on October 30. The Texas Horsemen's Partnership (THP) worked very closely with the racetracks to ensure that the schedule of 2004 racing days will work to the benefit of horsemen, as well as the tracks. Along with the Breeders’ Cup World Thoroughbred Championships, Lone Star Park requested permission to run a fall Thoroughbred meet. The TRC granted that request, and Lone Star Park will conduct a 19-day Thoroughbred meet beginning on October 1, 2004. Racing will be conducted four days per week, racing from Thursday through Sunday. The meet will conclude on Sunday, October 31, which is the day after the Breeders’ Cup races. In addition, Lone Star Park will run its spring/summer Thoroughbred meet in 2004 for 63 days from April 15 through July 11. Lone Star’s traditional fall Quarter Horse meet days will be moved to Sam Houston Race Park for 2004. The remainder of Thoroughbred racing at other tracks in Texas during 2004 will look very similar to this year's schedule. Sam Houston Race Park will have Thoroughbred racing from January 2 through April 10, then resume on November 17 and go through December. Retama Park will run Thoroughbreds from July 22 through September 25. Next year’s Quarter Horse racing schedule will be significantly different from recent years. The TRC approved a plan that will allow Lone Star Park and Retama Park to transfer their Quarter Horse race days and purse money to Sam Houston Race Park for one year only in 2004. Under this plan, Manor Downs would run a mixed meet from February 28 through April 25. Sam Houston would begin its 2004 Quarter Horse meet on April 23, and Texas Quarter Horse racing would remain there continuously through November 6. Additionally, the Gillespie County Fair will conduct mixed Thoroughbred and Quarter Horse racing on July 3-4, July 17-18, August 14-15, and August 28-29, 2004. The plan to consolidate most of the 2004 Quarter Horse racing in Texas to Sam Houston Race Park has been embraced by many horsemen due to the numerous benefits that would be realized by not having to move so often, bundling the simulcast export signal, and marketing efforts that would be put forth by Sam Houston Race Park to increase attendance and handle. "There is no doubt that we are going to have to find innovative ways to keep horses and horsemen in Texas now that Louisiana and New Mexico are luring them away with higher purses bolstered by slot machines," asserted THP Executive Director Tommy J. Azopardi. He continued, "I am hopeful that this schedule will not only keep our horsemen here with good racing and plenty of opportunities to run their horses, but also allow the Breeders’ Cup to be an extremely successful event." There has been a lot of work put into coordinating a schedule that remains sensitive to both Quarter Horse and Thoroughbred racing. The constituent partners in the Texas Horsemen's Partnership, the Texas Horsemen's Benevolent and Protective Association (Quarter Horse) and the Texas Thoroughbred HBPA, Inc. (Thoroughbred and Arabian horses), have held numerous meetings with the racetracks and Texas Racing Commission officials, and we are satisfied that this schedule will address everyone's concerns and provide for a quality year of racing in 2004.